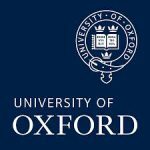 The National Institutes of Health Oxford-Cambridge Scholars Program is an accelerated, individualised doctoral training program for outstanding science students committed to biomedical research careers. Open to US citizens only – three institutions have come together to offer a collaborative 4 year PhD programme, (with the option to combine this with an MD at a US Medical School). Students are allocated two supervisors: one based at the University of Cambridge or University of Oxford; and one based at NIH. Students spend two years at the NIH and two years at either the University of Cambridge or the University of Oxford, working on a project that involves a collaborative undertaking by the two laboratories. Candidates, who must be US nationals, first apply to the NIH for either the standard 4 year PhD or for the MD PhD. Follow the link in the right-hand navigation for more details on how to apply to the NIH. Applicants who receive an offer by the NIH then need to decide whether to apply to the University of Cambridge or the University of Oxford. Applicants will have the opportunity to review the established collaborative projects, visit the UK and spend time talking with a number of lab supervisors before reaching a final decision. Archive newsletters are available in the supervisor/mentor link above.